A push to make your food preparation and cooking safer. "Food safety is a team effort," Jennifer Holton of the Department of Agriculture and Rural Development said. "So, it requires everyone from farmers to restaurants to grocers to consumers to really do their part." That's why the Department has awarded a grant to six groups, like the Michigan Restaurant Association, for food safety and education projects. "Allergens are becoming more prominent, so we need to make sure that we're providing proper labeling, that people know how to handle allergens, whether they need to separate those foods, things along those lines. Cooking temperatures, proper handling, all of that goes into play," Holton explained. Those are measures that the East Lansing Marco's Pizza takes seriously. "One issue could cause us to be out of business it probably would and on top of that we don't want somebody else to be sick, or anything of that nature, because we didn't do something," explained Owner, Donna Sturgis. She makes sure her employees take a number of safety steps each day. "We have health and safety tests that every employee takes within the first 3 days that they're employed here and it talks about things of how food is dated," she said. "And even, from pulling food out of the freezer, how it has to un-thaw inside our walk in, not putting it on the counter." Plus, attention to the little things, like washing your hands. Crucial steps of food safety that the grant money will help remind companies and consumers how to do properly. "What those monies do is help provide education materials, training, multi-media outreach, consumer education," Holton said. "This money will help a lot of people be able to get that education that they need that they might not otherwise be able to afford," Sturgis added. To guarantee you're getting the safest product. 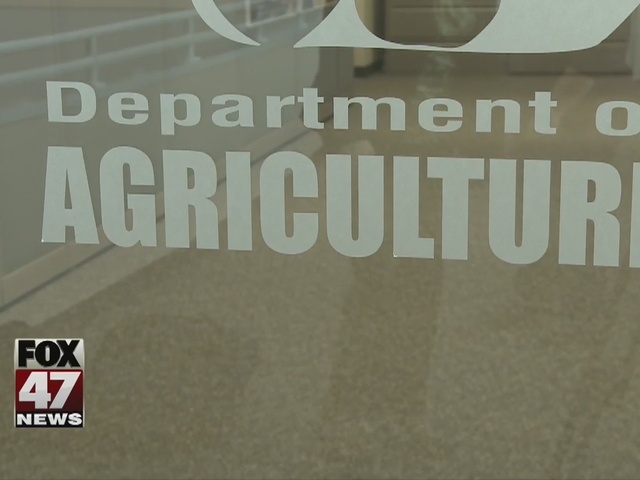 MSU's Meat Quality Extension is one of the groups receiving a grant. It's going to work to train both restaurants and regulators on the best practices for processing and curing meats.